Australians are generous when it comes to opening their wallet for a good cause. But you may have reached a point in life where you want to make a more substantial contribution with control over how your money is spent. You may also wish to get your children involved to instill shared values. While it hasn’t received much publicity, increasing numbers of Australians are using charitable trusts to give in a more planned and tax-effective way. The turning point came in 2001, when the Howard Government introduced the Private Ancillary Fund (PAF) with the aim of encouraging more individual and corporate philanthropy. PAFs are charitable trusts that can be used by an individual or family for strategic long-term giving. Though donations to accredited charities and not-for-profits are tax deductible, the figures indicate two-thirds of taxpayers don’t bother to claim. It’s well worth keeping track of receipts so you can claim when you think that, for example, a single donation of $5000 to a charity or NFP in a financial year will reduce your taxable income by $5000. A core principle of tax-deductible philanthropy is that the giver shouldn’t stand to receive any material benefit. For example, if you buy tickets in a raffle run by a charity you can’t claim a tax deduction on the cost of the tickets. In order to receive a tax deduction for your donation, the recipient must also be registered as a deductible gift recipient (DGR). There are many ways to be charitable but the impact on your tax bill will vary depending on how you go about it. 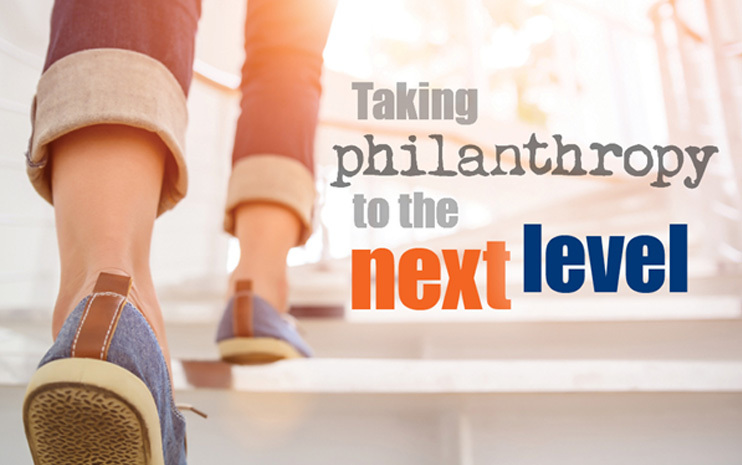 These days, people who want to take philanthropy to the next level with an ongoing, tax-effective approach have a variety of trusts to choose from. PAFs are the best-known of the new breed of trusts. The money placed in a PAF is tax-deductible and assets in the fund aren’t subject to income or capital gains tax (but do qualify for franking credits). Let’s say a dentist sets up a PAF and gifts half his $500,000 annual income into the fund. The dentist’s taxable income now drops to $250,000. What’s more, no tax is paid on the returns made on the $250,000 that has been invested in the PAF. The dentist must distribute a minimum of five per cent of their PAF’s net asset value annually, or a minimum of $11,000. After meeting that requirement, the dentist has a relatively free hand about which charities to support and how much they receive. PuAFs work the same way as PAFs but operate on a larger scale. For example, 10 dentists may set up a PuAF to finance the building of dental hospitals in Africa. As well as gifting part of their incomes, the 10 dentists can (in fact, are obliged to) invite the general public to make tax-deductible donations to their PuAF. These are used by individuals wanting to leave money in their will to charity. The two advantages of this type of trust are that the trustee(s) can distribute the income generated by the trust in a way that minimises the tax burden of beneficiaries, and the assets in the trust can’t be accessed by parties such as creditors. Few people give to get a tax deduction but by supporting good causes in a tax-effective manner you can achieve a bigger bang for your philanthropic buck. If you would like to know more about tax-effective giving, give us a call.